The Middleman documentation suggest using middleman-imageoptim to optimize your images on build, but my previous experience was pretty painful–especially when you have many images in your website. It can make your every deploy really long, since it'll try to optimize every image after build. 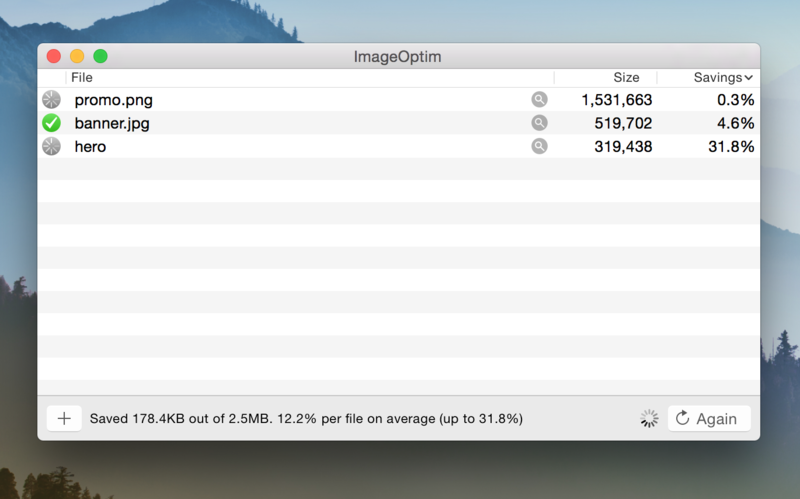 If you're using a Mac, I'll suggest to do manual image optimization with the ImageOptim app. You just have to do it once, and drap your new images to the app before adding to your repository. All the images in your site are now optimized forever, so you don't have to wait for your images being re-optimized every time you deploy. The easiest way to turn both things on is using Rack::Deflater with Rack::StaticCache. The later comes from the rack-contrib project, which also hosts the Rack::TryStatic middleware. And it'll work perfectly for you. The Rack::Deflater middleware works great on providing gzipped files, but it's a real-time compression for every single request. It can cost extra CPU resource on your server. Middleman has built-in support to generate pre-gzipped assets on build, so it'll be great if you can use them directly. Then a problem comes: rack-zippy does not work well with Rack::StaticCache. 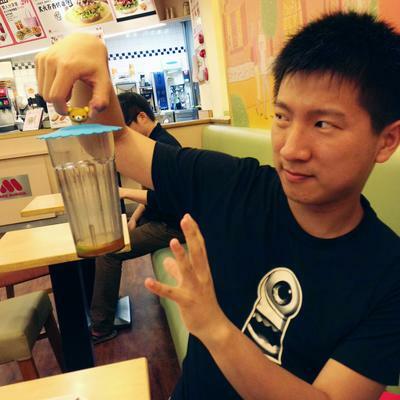 The two middleware both try to serve a qualified file directly, rather than pass that file to another middleware. If you put use Rack::Zippy::AssetServer before use Rack::StaticCache, you'll lose the extended expire header; and if you put it after, you'll lose the gzip file serving. To make the two middlewares work properly, I need the StaticCache to call Zippy::AssetServer for file to serve, but still modify the header for extended expire dates. I've made a modified version of that, and pushed it to GitHub. And it should work with rack-zippy now. But use at your own risk!